Perfect for industrial work areas. 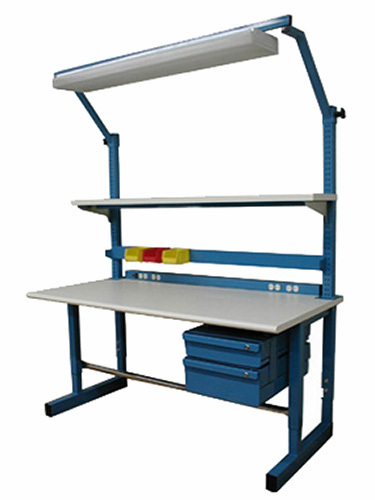 Ergonomic Partners offers several different designs and styles of adjustable height workbenches and industrial workbenches. Pick the table that suits your needs and customize it for your application. Heavy Industrial Grade, 20,000 lbs. Capacity (Strong Cold Rolled Steel), 14-Gauge, 3" Square Legs, 2" x 3" Rectangular Frames, Solid 3/4 to 2.5 inch Thick Tops: Formica Plastic Laminate Top, Solid Maple Butcher Block Top, Chemical Resistant Solid Phenolic Resin Top, Static Control Laminate Top, Stainless Steel Top, Sizes Available in 24", 30", 36", 48" Deep and up to 120 inch Lengths, Meets ANSI, BIFMA, DIN and GSA Structural Standards. 2,500 lbs. Capacity (Strong Cold Rolled Steel), Solid 3/4 to 1 inch Thick Tops: Formica Plastic Laminate Top, Solid Maple Butcher Block Top, Chemical Resistant Solid Phenolic Resin Top, Static Control Laminate Top, Stainless Steel Top, Sizes Available in 24", 30", 36" Deep and up to 72 inch Lengths, Meets ANSI, BIFMA, DIN and GSA Structural Standards. 1,000 lbs. Capacity, 12 in. 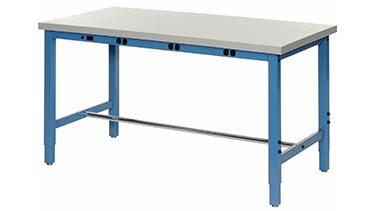 height adjustment, Solid 3/4 to 1 inch Thick Tops: Formica Plastic Laminate Top, Solid Maple Butcher Block Top, Chemical Resistant Solid Phenolic Resin Top, Static Control Laminate Top, Stainless Steel Top, Sizes Available in 24", 30", 36" Deep and up to 72 inch Lengths, Meets ANSI, BIFMA, DIN and GSA Structural Standards. 1,000 lbs. 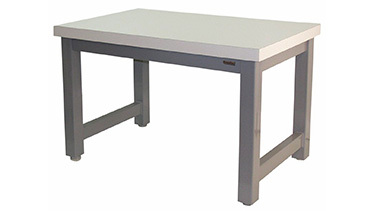 Capacity, Adjustable Aluminum Frames, Connect End-to End, Solid 1.125 inch Thick Tops: Formica Plastic Laminate Top, Solid Maple Butcher Block Top, Chemical Resistant Solid Phenolic Resin Top, Static Control Laminate Top, Table Section Sizes Available in 24", 30", 36" Deep and up to 84 inch Lengths, Meets ANSI, BIFMA, DIN and GSA Structural Standards. 5,000 lbs. Capacity (Strong Cold Rolled Steel), Solid 3/4 to 1.75 inch Thick Tops: Formica Plastic Laminate Top, Solid Maple Butcher Block Top, Chemical Resistant Solid Phenolic Resin Top, Static Control Laminate Top, Stainless Steel Top, Sizes Available in 24", 30", 36" Deep and up to 96 inch Lengths, Meets ANSI, BIFMA, DIN and GSA Structural Standards. 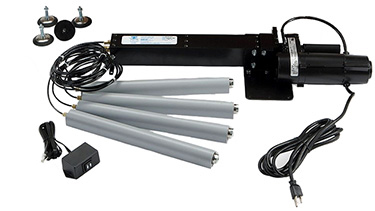 For existing tables, 1,000 or 1,500 pound capacity, Hand Crank (Manual) or Electric Operation, 2-post, 4-post or 6-post kits, Adjustment ranges 8, 10, 12, or 16 inches, Quick ship in 4-5 days, OEM and Retrofit Kits Install Quickly, Smooth and Quiet Operation. 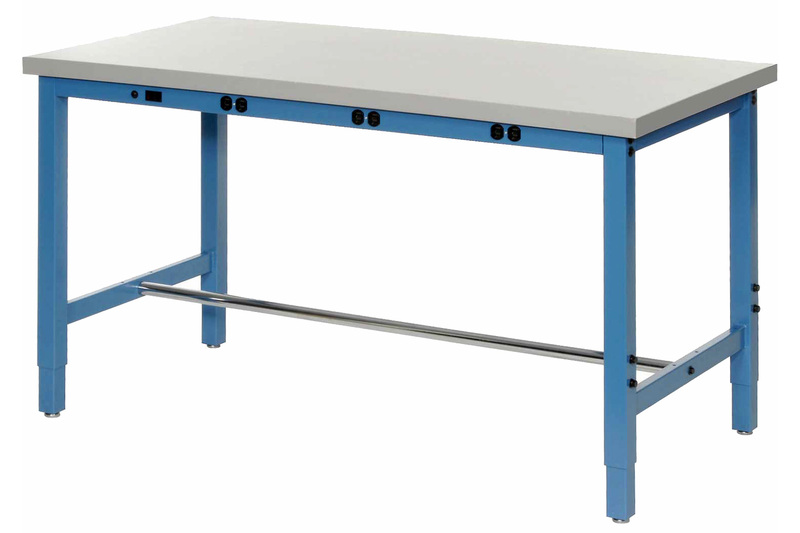 Strength: Rather than channels or angles of steel, our adjustable work tables use square tube for structural integrity. This is especially important for the apron, as a weak apron allows legs to be bent underneath. Work Bench Fasteners: The fasteners are heavier too. 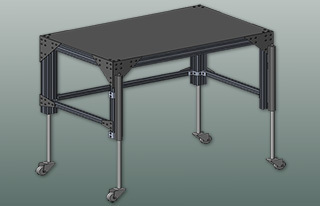 Our adjustable work tables use 5/16-18 hex bolts to assemble our legs, the competitors use only 1/4-20 bolts. Where the competitors use 1/2-inch long bolts to assemble legs and leg adjustment brackets, Ergonomic Partners uses 2-inch long heavier bolts. These longer bolts eliminate the possibility of cross-threading. 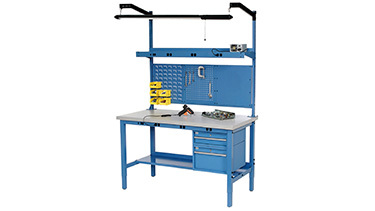 Ease of assembly: Ergonomic Partners adjustable work tables are the easiest to assemble too. The competitors supply an eight-page assembly manual and a big bag of assorted fasteners; Ergonomic Partners benches go together with only two bolts per leg. That's because Ergonomic Partners pre-assembles the apron that goes around the bottom of the top and the leg assemblies through welding, then pre-assembles the top to the apron. Bench Tops: Weight: Heavy "industrial grade" 45-pound, 1-1/8 inch thick solid particle board for the core material. This is the heaviest grade in the industry. Sealed: Our adjustable work tables are sealed on 5 sides plus the bottom, making the top watertight, and eliminating the possibility of moisture causing warping. 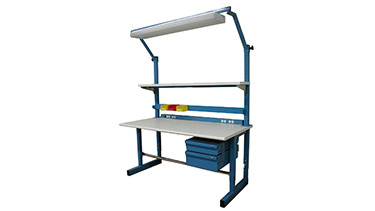 Ergonomics: For your ergonomic comfort, Ergonomic Partners offers a 180-degree radius front edge on all adjustable workbench models at no extra charge. 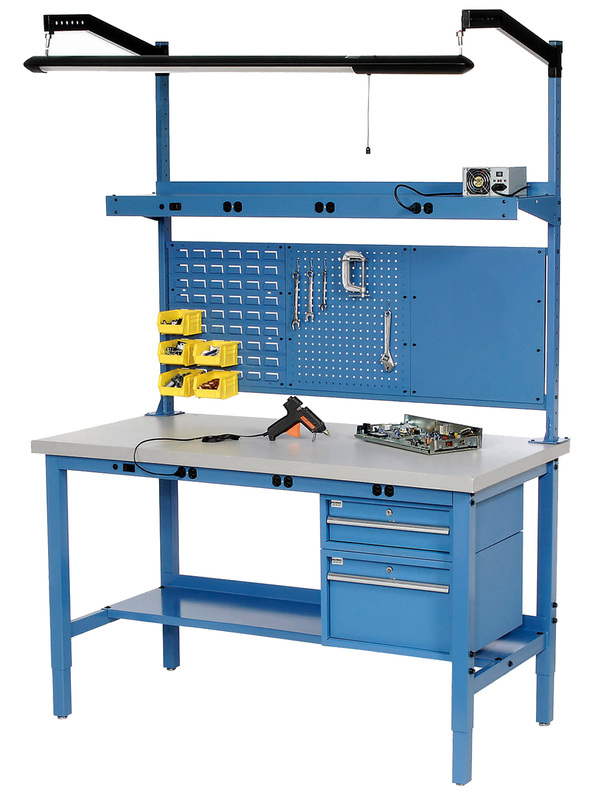 Load capacity: While other bench makers claim weight limits of 650 -to- 1,200 pounds, our adjustable height work tables use Cinch-Tite corner fastening, plus extensive welding allows us to ensure a 5,000-pound load will never damage the bench. Can't find an option that fits your needs? 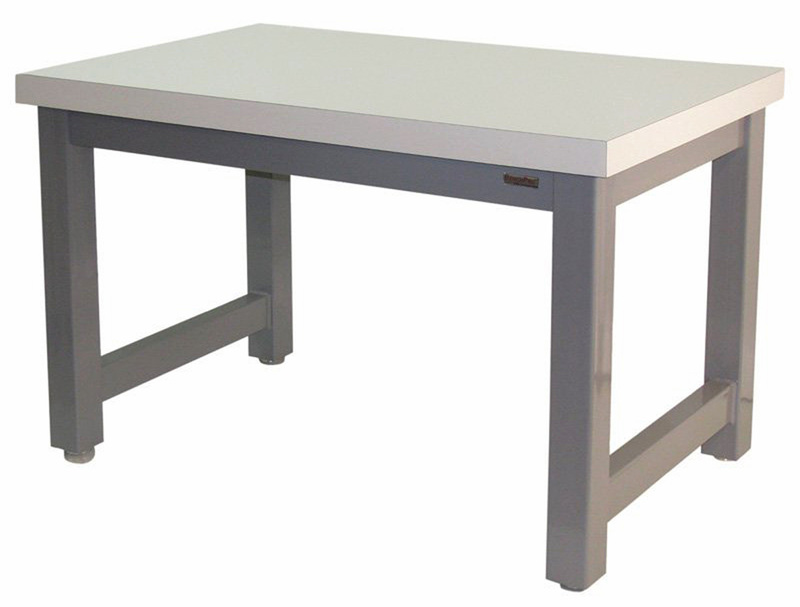 Call (314) 884-8884 or Email us, and we can customize an adjustable work table for you. 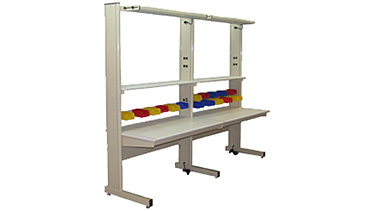 Ergonomic Partners provides and services adjustable work tables; serving clients from coast to coast, Canada, Mexico and especially focused in the states of Missouri, Illinois, Indiana, Kansas, Arkansas, Mississippi, Nebraska, Tennessee, Kentucky, Iowa, and Oklahoma.